Isn't a Brim t same as sidewalk? SIdewalks are RAFTS, extra "surface" you can count with when printing things with minimal base (like an amphora for example). 99% of the printing community use the word RAFT, not "sidewalk". Brims are used to "Purge" the first layers before the actual print occurs. In short, brims do not cover the base of the print, just the surroundings, while RAFT not only covers the base but also (often) raises the piece you're printing. Simplify3D is probably the BEST slicer software out there. Pricey but worth every cent. ABS or PLA? Curious how those hold up to cold. The lack of the purge layers is something I definitely took notice of. Then again, the wiper should do the same thing. However, it does tend to fail if you don't mind it. I dont think ill ever use 70 micron again at least with stock board. I always use 200 micron and PLA. I dont think ABS will hold fine where I am currently, around 13ºC on mornings where prints start. we could try installing one of those heated beds into the cube hehe. Yeah rather than purging we use brims on the other printers to ensure the bed is leveled, the adhesion will be fine, the flow is ok, etc. Take it as a pre-warmup of the filament. if anything is wrong with it you still have time to fix it realtime either cancelling the print or adjusting the bed. That is the one thing I don't like... the lack of manual resume. Anyone else notice better fill on different areas of the build plate? 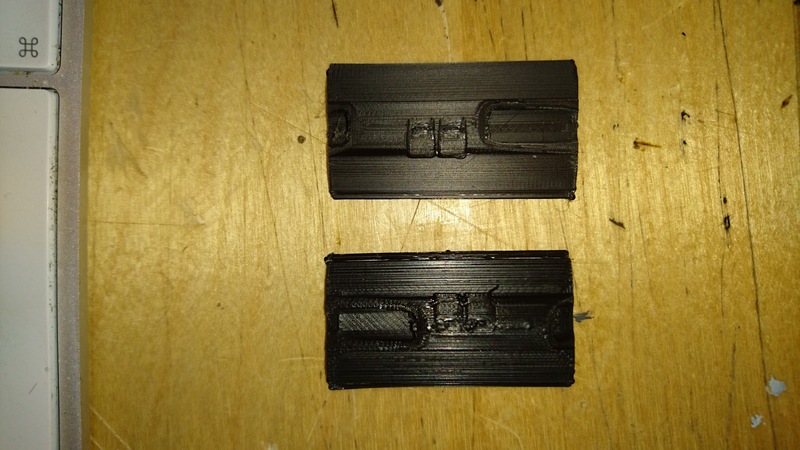 Near-left prints are much more open between bands. On the far-right, the bands area nearly fused. Last edited by TommyDee; 12-31-2016 at 10:44 PM. Didnt have to examine that yet, hmmmm may be runnning a 15cm sq low height "platform" would tell us something? 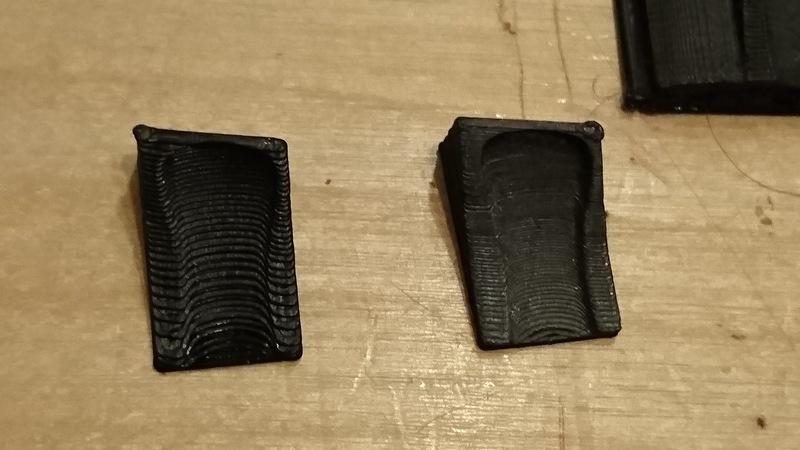 Also note the first pic, seems print head leaves a mark on them before finishing the print.... Definetly shitful gcode generator in these printers! Broken filament but I had to crack the case to reload it back into the feeder. All in a day That Budda Yoda came as is out of Thingiverse pre-supported. Very nice 4" tall piece. ~4 hours. Wow! Looks amazing! Perhaps you can finetune those big supports a bit? How did the piece ended once cleaned?